Well if you are viewing this page you most likely have put the wrong fuel in your car at a petrol station somewhere in Rochdale and looking for a cheap fuel drain that is quick to get you back on the road. 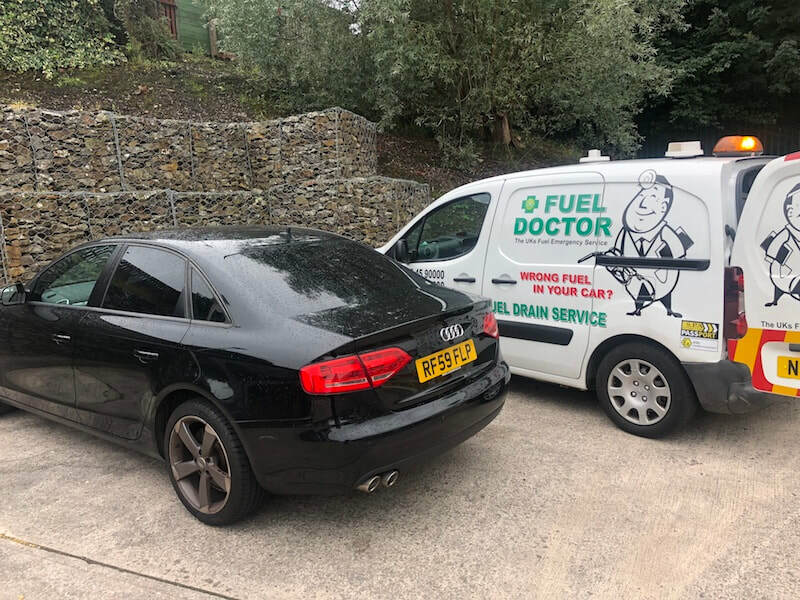 Our Fuel Doctors covering all corners of Rochdale are on hand to get you back on the road within 1 hour with the best mobile fuel drain service available throughout Rochdale. We perform fuel drains all makes and models of cars, vans and motorbikes. If the fuel can be contaminated, we can drain and replace with the right fuel. So no matter what your problem if you are in Rochdale, then get in touch with us today and we can arrange to meet you by the roadside and get you back up and running again. This customer was stuck dead in the car park after realising they had used the Wrong Fuel in their Audi A4. They'd mistakenly put petrol in to the diesel engine. luckily they called the right company for the job and a Fuel Doctor was immediately dispatched. Arriving within the hour our experienced engineer drained and cleaned the tank and bringing relief to the customer.